b. Cancellations – for three to nine rooms – within seven days prior to arrival will be subject to a full cancellation fee of the value of the accommodation booked.c. Cancellations – ten rooms or more – tour cancellation policy in 1 above will apply. • Luxury Chalet - Each custom designed chalet offers a romantic sunken bath, an open plan lounge and bedroom, a fireplace and private balcony. 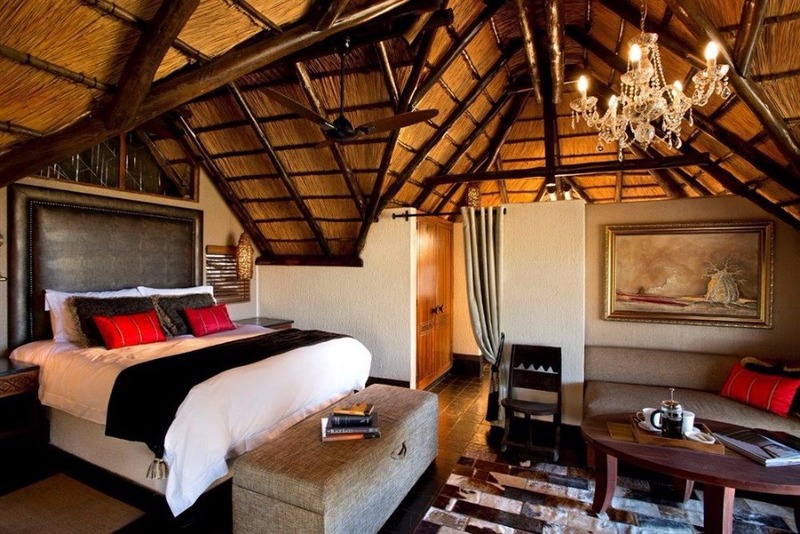 • Tshukudu Suite - Each spacious custom designed suite has all of Tshukudu’s finest touches as standard, including the crystal chandeliers and rock craft fireplace. 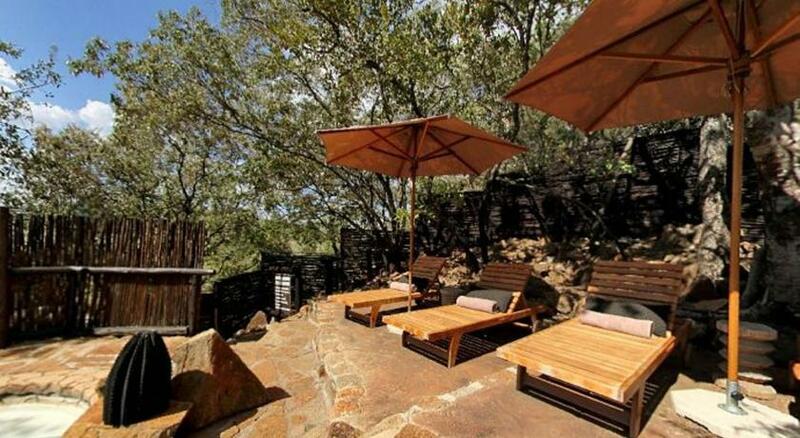 their secluded decks, and outdoor shower and twin vanities. 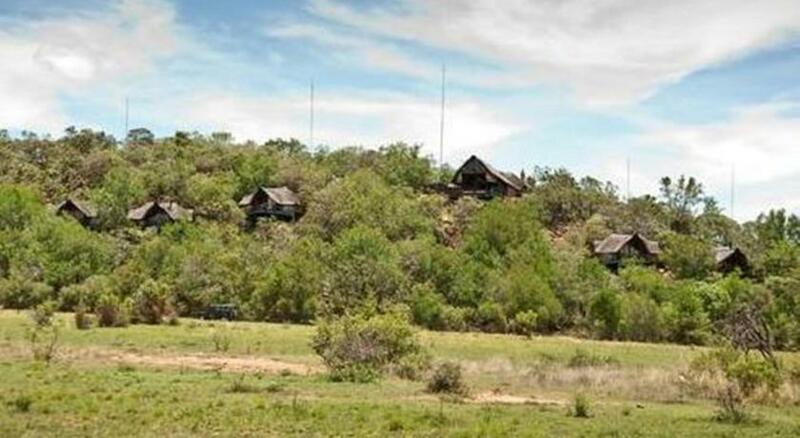 • Check in at Bakubung by 13h30 daily; please note there is one scheduled transfer to Tshukudu per day. 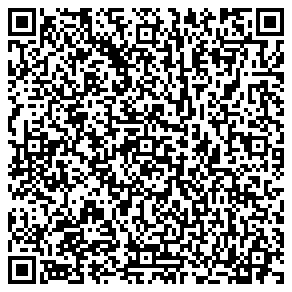 • Please note that there are 132 steps to lodge. 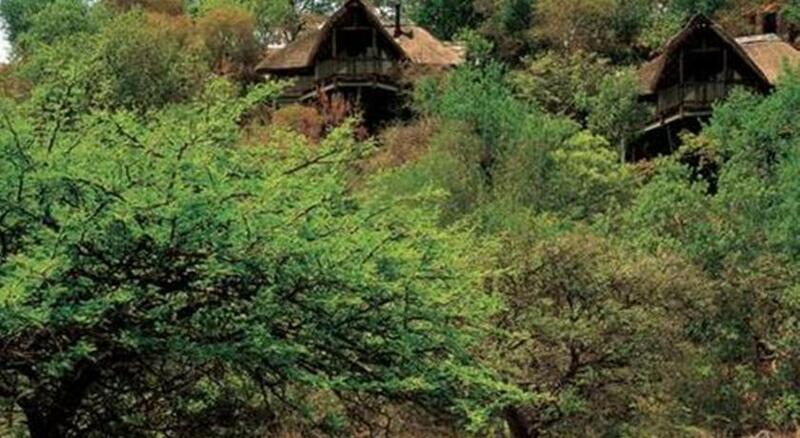 • For the full Tshukudu bush experience there are no radios, televisions or telephones. Cell phone reception is very limited. 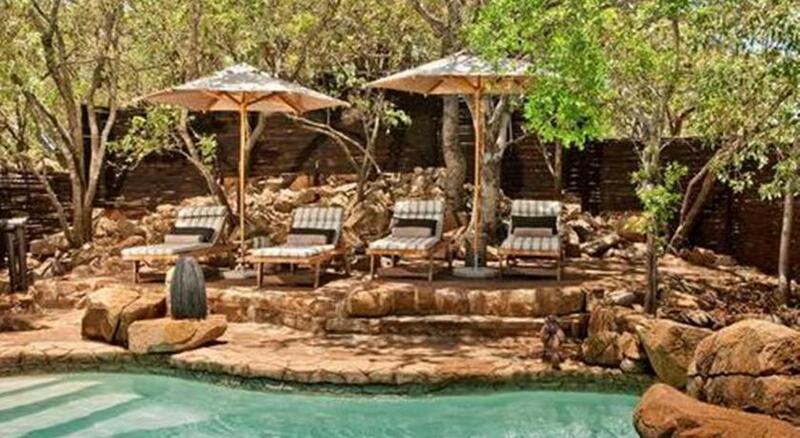 • Rates include transfers between Bakubung and Tshukudu, accommodation, welcome drinks on arrival, high tea, two game drives, five-course dinner, brunch and all local beverages. 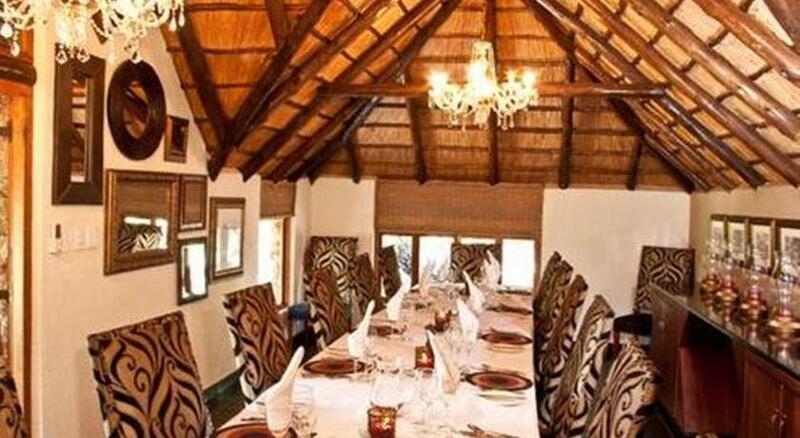 • Five-course meals are prepared for guests in the dining room or bush dinner (weather permitting). 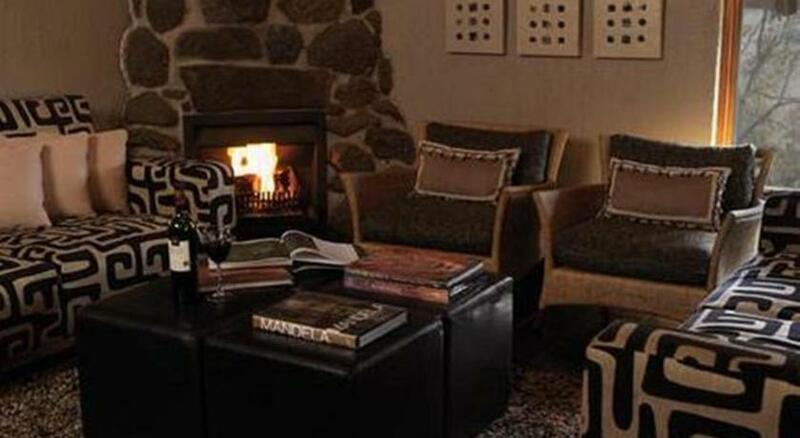 Ponder the silence by a blazing fire at night and enjoy food of international standard and African flavour accompanied by a wine from our splendid selection. By day, you can laze by the rock plunge pool. Tshukudu’s cuisine is not only out of Africa; it’s out of this world. Each dish is prepared to 5 star standards. 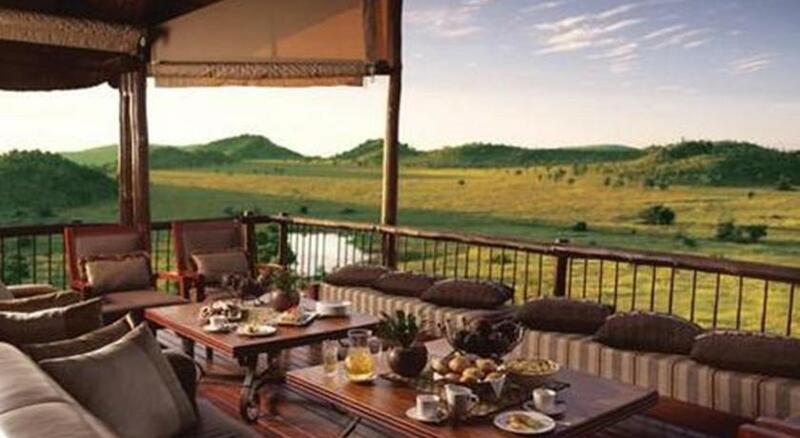 A full English brunch prepared to perfection at the end of an early morning game drive; high tea with a savory and sweet selection; sundowners under African skies; a splendid selection of wine provides the ultimate accompaniment to your five course Dinner. 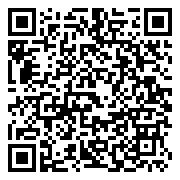 One daily transfer from Bakubung at 14h30. High tea served on arrival. 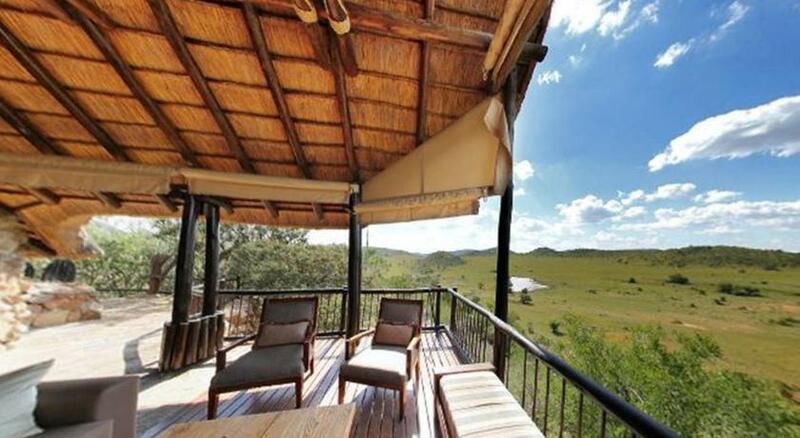 Game drives or walk is a must. Our rangers share their intimate knowledge of animals and plants, answering questions and pointing out the wonders of the wild kingdom. Still, there are times, when you might just like to take it easy, view the game as it visits the water hole from the privacy of your own balcony or from the comfort of the Nest area. 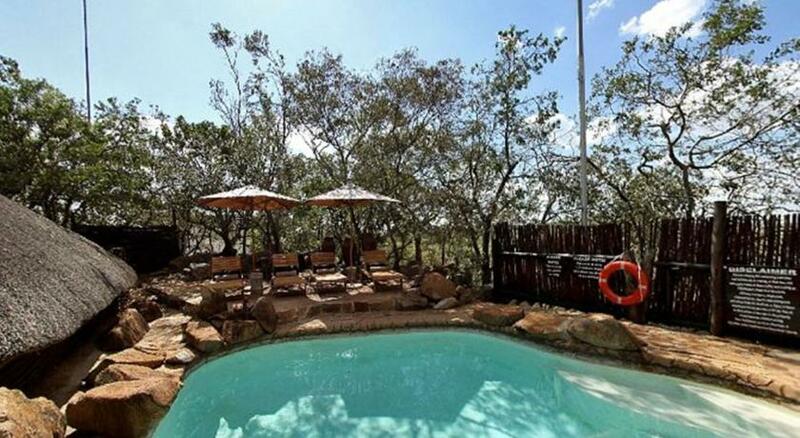 Or just relax in the sun around the sheltered rock pool. We find that our guests are most content to spend time at the lodge, drinking in the meditative silence and holding the wide, open plains in awe. 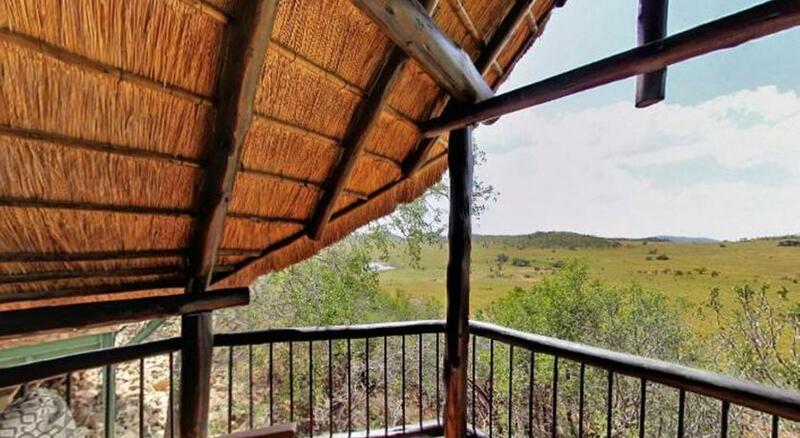 But they never leave without tracking down the Big Five in the Pilansberg National Park, on game walks or drives. 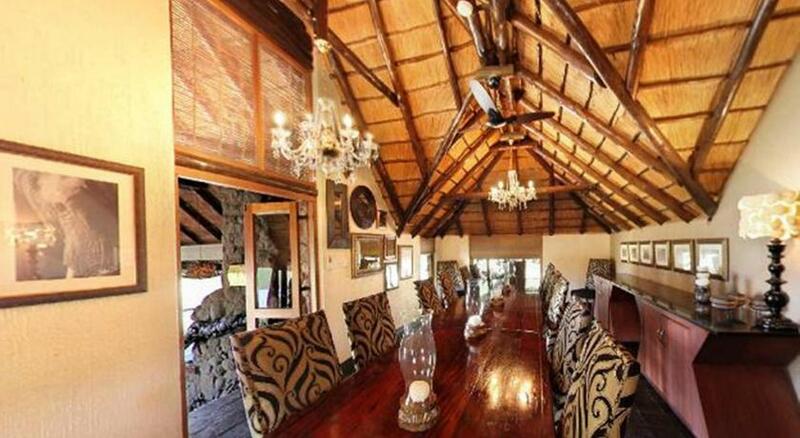 Some of the facilities nearby include golf, tennis, Squash, ten pin bowling, horse riding, the crocodile farm, aviary, casinos, live entertainment venues as well as theatre and movies. Facilities include a TV and VCR, slide projector, portable 2x2m screen, overhead projector and flip chart. 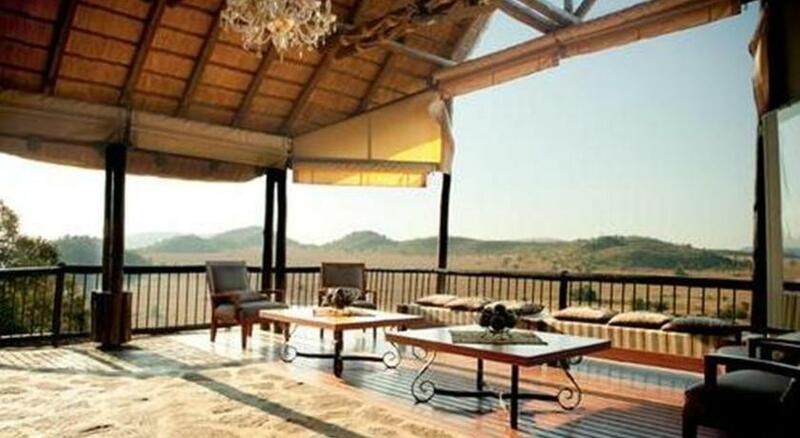 Pilanesberg National Park, which covers some 55 000 hectare, is the fourth largest in southern Africa. This malaria-free park is perched on the eroded vestiges of an alkaline volcanic crater - one of only three such craters in the world. 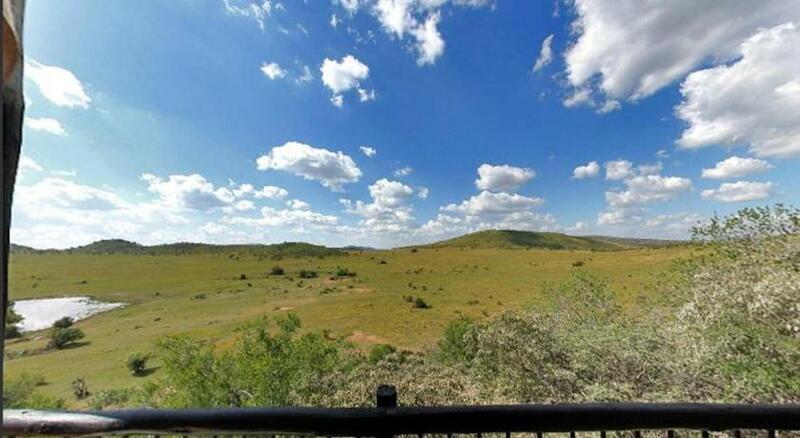 On its undulating hills and everlasting open plains, you can get a glimpse of the 'Big Five', an abundance of animals and over 360 bird species. Luxury Suites Single - A double bed and chaise lounge provide you with ample comfort. 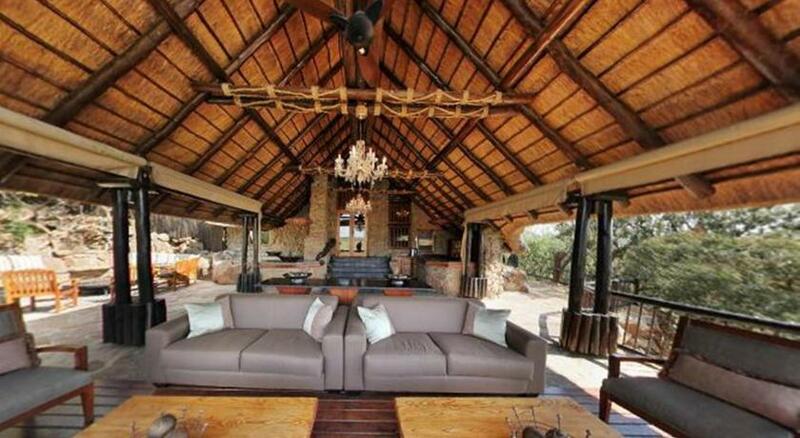 Plush leather sofas, hanging glass crystal chandeliers and soft furnishings in vibrant colours complete the picture of the ultimate combination between the wild outdoors and world-class comfort. A double bed and chaise lounge provide you with ample comfort. Plush leather sofas, hanging glass crystal chandeliers and soft furnishings in vibrant colours complete the picture of the ultimate combination between the wild outdoors and world-class comfort. 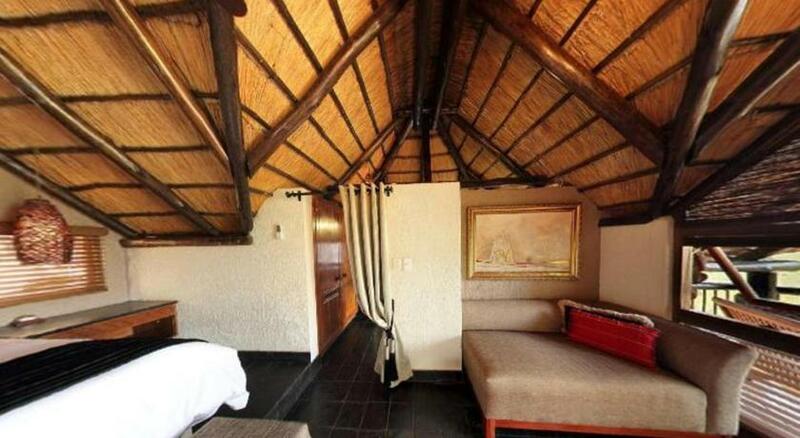 Luxury Chalet Single - A double bed and chaise lounge provide you with ample comfort. Plush leather sofas, hanging glass crystal chandeliers and soft furnishings in vibrant colours complete the picture of the ultimate combination between the wild outdoors and world-class comfort. 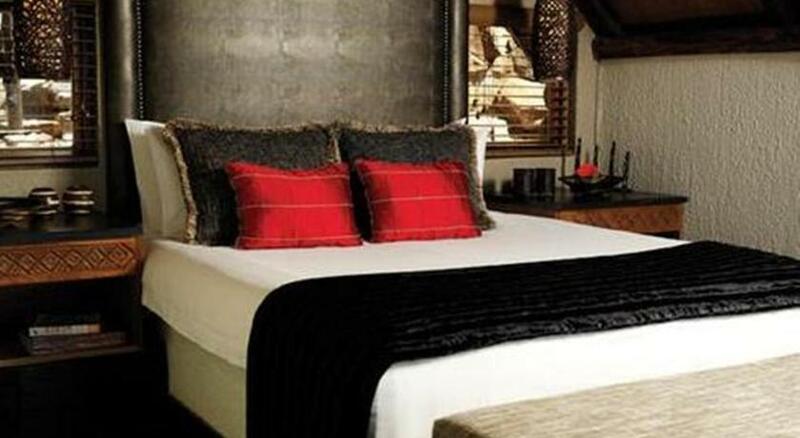 Luxury Suite Double - A double bed and chaise lounge provide you with ample comfort. Plush leather sofas, hanging glass crystal chandeliers and soft furnishings in vibrant colours complete the picture of the ultimate combination between the wild outdoors and world-class comfort. Luxury Chalet Double - A double bed and chaise lounge provide you with ample comfort. Plush leather sofas, hanging glass crystal chandeliers and soft furnishings in vibrant colours complete the picture of the ultimate combination between the wild outdoors and world-class comfort. 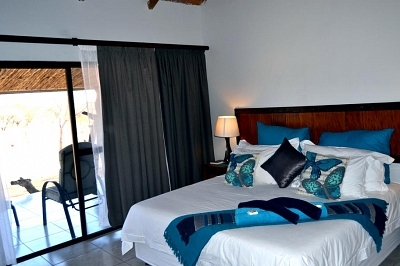 Luxury Chalet Triple - A double bed and chaise lounge provide you with ample comfort. Plush leather sofas, hanging glass crystal chandeliers and soft furnishings in vibrant colours complete the picture of the ultimate combination between the wild outdoors and world-class comfort. Luxury Suite Single Book 31+ Days - A double bed and chaise lounge provide you with ample comfort. Plush leather sofas, hanging glass crystal chandeliers and soft furnishings in vibrant colours complete the picture of the ultimate combination between the wild outdoors and world-class comfort. Luxury Suite Double Book 31+ Day - A double bed and chaise lounge provide you with ample comfort. Plush leather sofas, hanging glass crystal chandeliers and soft furnishings in vibrant colours complete the picture of the ultimate combination between the wild outdoors and world-class comfort. Luxury Suite Double stay min. 2 night - A double bed and chaise lounge provide you with ample comfort. Plush leather sofas, hanging glass crystal chandeliers and soft furnishings in vibrant colours complete the picture of the ultimate combination between the wild outdoors and world-class comfort. Luxury Suite Single stay min. 2 night - A double bed and chaise lounge provide you with ample comfort. Plush leather sofas, hanging glass crystal chandeliers and soft furnishings in vibrant colours complete the picture of the ultimate combination between the wild outdoors and world-class comfort. 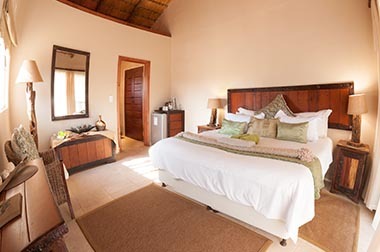 Tshukudu Suite Double - Each spacious suite has all of Tshukudu’s finest touches as standard, including a crystal chandelier and rock fireplace. 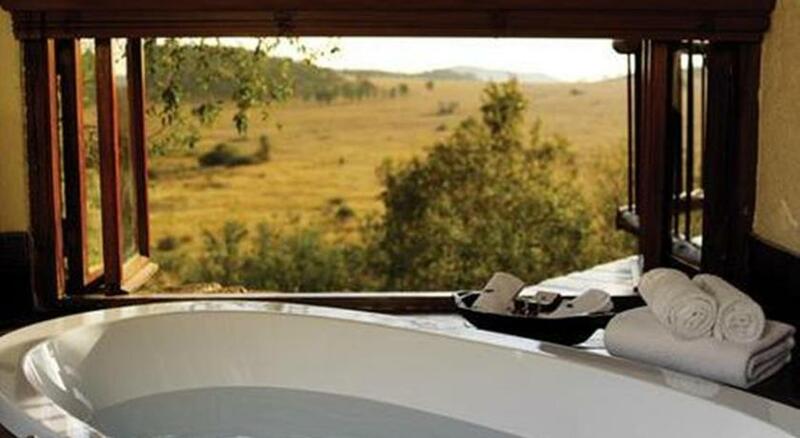 Luxurious baths overlooking the plains remain an integral feature of the bathroom and romantic experience. The new suites also include a private plunge pool on their secluded decks, an outdoor shower and twin vanities. 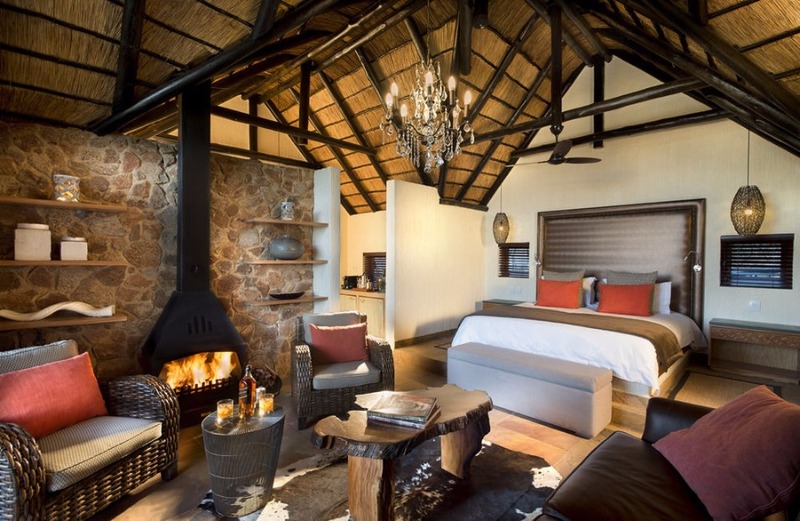 Each spacious suite has all of Tshukudu’s finest touches as standard, including a crystal chandelier and rock fireplace. Luxurious baths overlooking the plains remain an integral feature of the bathroom and romantic experience. The new suites also include a private plunge pool on their secluded decks, an outdoor shower and twin vanities. 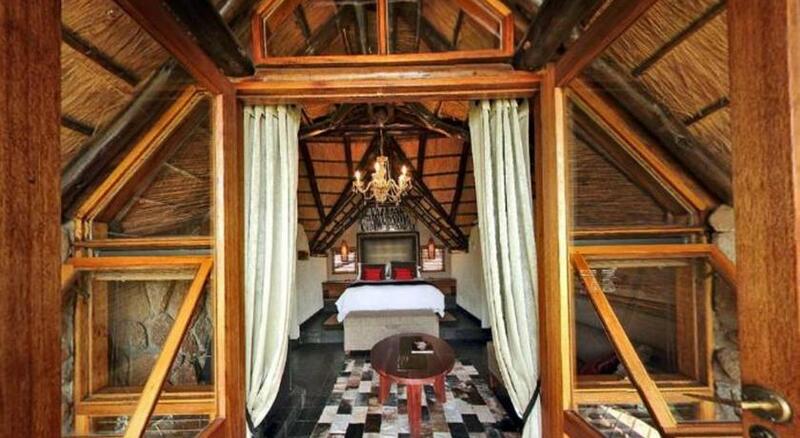 Tshukudu Suite Single - Each spacious suite has all of Tshukudu’s finest touches as standard, including a crystal chandelier and rock fireplace. Luxurious baths overlooking the plains remain an integral feature of the bathroom and romantic experience. The new suites also include a private plunge pool on their secluded decks, an outdoor shower and twin vanities.